This lakeside community has sailing, windsurfing, boating and dining on Cedar Lake. Located just 45 minutes southeast of Chicago. Boaters and visitors alike have the opportunity to enjoy one of the casual to upscale restaurants that line the shores of Cedar Lake. Panfish, Bluegill and Pumpkinseed Sunfish are just a few of the fish available to catch in Cedar Lake. Fishing license is required. Summerfest over the 4th of July holiday includes entertainment, amusement rides, and fireworks. The collective Duneland communities create an idyllic hometown atmosphere for residents who enjoy a location along the southern shore of beautiful Lake Michigan. 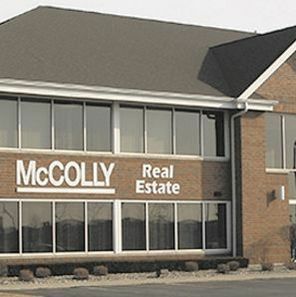 Close proximity to Chicago and access to major highways attract businesses and residents to a suburban setting that offers every modem convenience. The Chesterton Medical Center of Porter Memorial Hospital provides efficient care for routine healthcare needs and many advanced services. Often called the Gateway to the Dunes, this town is home to fine antique shops, impressive galleries and museums, historic sites, and tranquil neighborhoods. The Coffee Creek Watershed Preserve is a 167 acre paradise in Chesterton that invites visitors to explore and appreciate nature. This town is also home to the Chesterton European Market every summer weekend, and the annual Wizard of Oz Fest, the largest and most famous of its kind. Crown Point blends suburban and rural areas that cater to many lifestyles. The quaint town square features shops with handmade crafts and antiques as well as popular restaurants. Elegant Victorian homes surrounding the square add to the charm of the downtown district and the entire community. The crowning architectural treasure is The Grand Old Lady, the 1878 courthouse that has served as a landmark for Lake County through the decades. This is the same courthouse where John Dillinger was once jailed and now houses the John Dillinger Museum. Because of its location, Crown Point is known as the Hub of Lake County. The close-knit spirit of the community is embodied in the many colorful festivals and celebrations that bring family, friends, and neighbors together. During the year the Chamber has many special events, including the Hub City Marathon, car shows on the square and the Hometown Square Festival. Just some of the special features of Crown Point Festival Days are a Corn Roast, Arts & Crafts Fair, Taste of Crown Point, Celebration of the Arts, Garden Walk, Gospel Concert, Marriage Mill and then ends with a Fourth of July Parade. The progressive and growing community of DeMotte offers many of the commercial conveniences and amenities associated with larger cities. 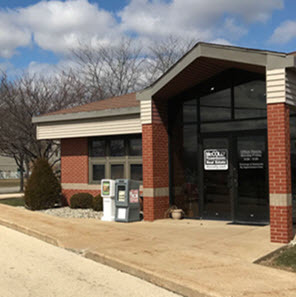 Ideally located near the historic Kankakee River, the town is only a five-minute drive from Interstate 65 and Indiana Route 10. Residents are 40 minutes away from the water-sport recreation opportunities at Lake Michigan, and 60 minutes from the world-class attractions in Chicago. Touch of Dutch - This festival takes place each year early in August as a celebration of the Dutch Heritage in the DeMotte area. Many area businesses have a vendor tent set up in downtown DeMotte for people to visit. Outstanding schools combine with nearby colleges in Rensselaer and Valparaiso as well as public universities in neighboring counties for a full range of quality educational opportunities. Residents are served by Kankakee Valley Intermediate School, Kankakee Valley Middle School and Kankakee Valley High School in Wheatfield Township. Lush parks provide picnic areas, tennis courts, playgrounds, a swimming pool, and sports fields. Three state game preserves are available within a 45-minute drive from DeMotte, and the entire area is ideal for hunting, fishing, bird watching, canoeing, and outdoor adventure. Active clubs and social organizations, local industry, well-planned zoning for serene residential neighborhoods, and colorful local celebrations are all persuasive factors in helping new residents Decide DeMotte. Featuring a picturesque town square gazebo that serves as a focal point for community events and outdoor productions. Highland's Downtown area features a number of buildings exhibiting Mid-Century Modern style architecture. This town offers a close-knit atmosphere. 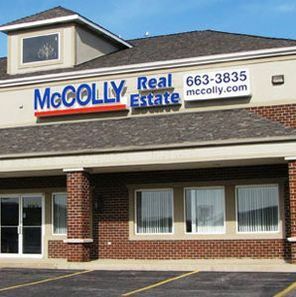 Nearby Merrillville with its strong retail sector and Munster with a Community Hospital and Performing and Visual Arts Center add to the quality of life. Other nearby attractions include performances by the Northwest Indiana Symphony, the world-class arts community in Chicago, and the concert halls and cultural enrichment provided by area colleges and universities. The vast expanse of Indiana Dunes State Park is only 25 miles from home, including the Indiana Dunes National Lakeshore-a naturalist's paradise. 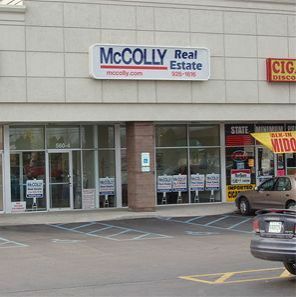 Highland offers a location in close proximity to major interstate highways for quick commutes. Lake Station 'Our Home Town' is home to the 43-acre Riverview Park. This park offers swimming, sand volleyball courts, boating access and rentals, tennis courts, archery targets and a fitness trail. Fuzz Follies, a car show and Heritage Days Festival also takes place in Riverview Park. The city lies on the Calumet Shoreline, which is seen today as a sand ridge. Locally known as the crossroads of America due to its easy access from Interstate 80/94, the Indiana Toll Road, I65 and Lake Michigan, Lake Station is a diverse community with a population of approximately 14,000 people. The community has a rich South Shore history with its origins started as a result of the Treaty of Tippecanoe in the mid 1800's. At the time key groups were in a race to develop a metropolis on the South Shore of Lake Michigan and the most promising cities were Chicago, Michigan City, City West (Indiana Dunes area), Indiana City (Miller Beach area) and Liverpool (presently Lake Station). Having historical proximity to intermodal transportation and highway systems Lake Station has always been positioned for rapid growth and new ideas. In the last decade new housing, infrastructure and utilities have been updated knowing the city would be in a constant state of improvement poised with an ability to tap the city's potential. This welcoming, small community known as the 'friendly town with friendly people', stretches over a 4.5-square-mile area to balance residential neighborhoods with retail activity and professional services. The economic mix includes service-oriented businesses, wholesale traders, and scores of retail establishments. Historical downtown Lowell is a hub for antique enthusiasts, with a half dozen vintage shops to peruse. 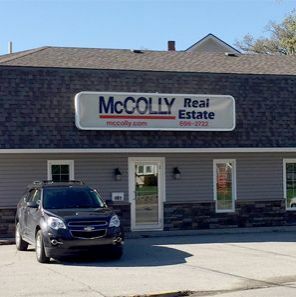 Lowell's proximity to I-65 gives residents easy access to Northwest Indiana's other vibrant communities or a quick business commute to downtown Chicago. Residents enjoy a kaleidoscope of outdoor adventures and recreational opportunities that include golfing, boating, fishing and water sports on Lake Dalecarlia, Cedar Lake and Kankakee River. Local events and festivities range from the fishing derby for kids in June, to the annual Crossroads of Indiana Marathon & Half Marathon race in the spring. Lowell hosts the oldest Labor Day parade in Indiana, which is also one of the largest parades in the U.S. Lowell's Red Devils high school football team is the pride of the town, having won many state, division, and sectional titles over the years. Beautiful beaches, extensive parks, charming towns, relaxing privacy and fascinating history. The town of Ogden Dunes is a small lakeside residential community located in Porter County, Indiana. This beach community is known for its coastal Lake Michigan ambiance nestled within the Indiana Dunes National Lakeshore. Nonetheless, Chicagoans and many others are once again calling Dune Country home. Ogden Dunes is located in Portage Township, Indiana. It's also called a number of other things: some refer to it as the Casual Coast; and the Chicago Tribune even called it the Hamptons of the Midwest. Ogden Dunes, once home of a famous ski jump. In 1927, the Grand Beach Ski Club, later the Ogden Dunes Ski Club, bought a piece of land on one of the high dunes in the town. They constructed a 192 feet tall ski jump. The first meet was held on January 22, 1928. For the next four years, meets were held in Ogden Dunes. The longest jump ever reported on this structure was 195 feet. In 1932, the Norwegian Olympic Team of Birger Rund, Hans Beck, and Kaare Wahlberg (gold, silver, and bronze medalists) came to Ogden Dunes to try the tower. During the Great Depression the Ski Club had financial setbacks; combined with little snow, the club looked to sell the tower. In 1935, a ski club in Rockford, Illinois, purchased the tower and moved it that summer. Annual Events include, Family Fun Night on the Beach, Memorial Day Race, Parade and Picnic, Fourth of July Sandcastle Contest & Fireworks, Chili Cookoff and an Annual International Beach Clean Up. Compared to many of the cities in Northwest Indiana, Portage is relatively young and the largest city in Porter County. The community became a town in 1958 and incorporated as a city in 1968. True to the name Portage, this area provides several marinas, boat launch facilities, and landings that provide access to Lake Michigan. National Steel opened a plant along the shore of Lake Michigan in Portage in 1959. This brought in about 1,600 new jobs. The Port of Indiana was also built in 1961 to accommodate trade with the world via Lake Michigan. In 1963, Bethlehem Steel began construction of a plant which was located partly in Portage. This project brought about 6,000 jobs to the area. Local parks, the Portage gazebo, sports courts, and a community center are just a few of the local attractions. The small-town atmosphere that prevails creates a feeling of pride and belonging, attributes that attract newcomers to a family-oriented lifestyle. Portage Township was primarily a farming community until railroad development began in the 1850s and 1860s. The bustling Portage community had its genesis as an industrial city and still supports an impressive number of companies and businesses including major steel operations. 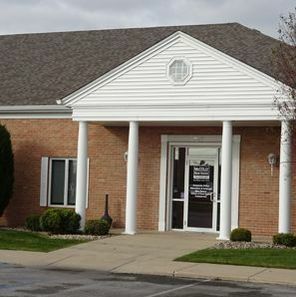 Portage Community Hospital meets the need for advanced healthcare close to home for local residents and those in Portage Township or surrounding small communities. The largest city in Porter County, and the third largest in Northwest Indiana. Proud to be part of the Indiana Dunes National Lakeshore, the new lakefront park is the crown jewel of Portage's park system. Amenities include a pavilion with an educational classroom, a cafe, restrooms, board walks, a pier, and two small parking lots. Other recreational activities in the community include Youth and Adult Sports Programs, the Portage Parks BMX track facility, the Portage Historical Festival and Portage Community Market to name just a few. The Portage Public Marina offers boat launch and slips for public use. The marina's operating season is April 1 to October 31 each year. Please visit http://www.ci.portage.in.us/ for more information on this city. LaPorte, with its close proximity to Michigan City and Lake Michigan has several offerings to see and do. Among them is Blue Chip Casino, farmer's markets, blueberry orchards, equestrian center and even Knapp's knee-high miniature horse farm! Indiana and Michigan Avenues comprise a historic district in the city, containing many homes and other structures of architectural and historical interest, including Barker Mansion. Shopping features many boutiques, arts, and antiques. The Hesston Steam Museum and LaPorte County Historical Society Museum are two popular tour attractions in this area. Often called the crossroads of the nation, Schererville is situated at the crossroads of US 30 and US 41. Planners are dedicated to keeping pace with the demands made by new residents, including additions to the school system and a solid infrastructure. Several private schools expand the alternatives for parents. Local shops, eateries, a new Town Hall complex, excellent schools, golf courses, regional malls, and nearby hospitals ensure a high quality of life. Lush local parks, bike paths and sports facilities are crowned by the close proximity to Indiana Dunes State Park. Many Schererville residents commute to Chicago for employment due to the city's proximity. 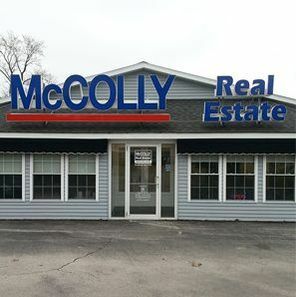 McColly Bennett Commercial is a full service commercial real estate brokerage firm serving the Chicago Southland and Northwest Indiana. 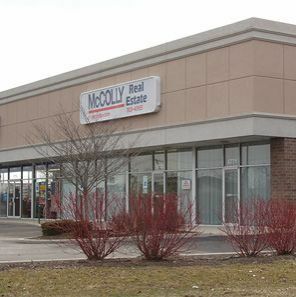 Our team is experienced in commercial, industrial, retail, land acquisition/development, multi-family, senior care, and bank representation, while achieving the trust and loyalty of our clients. 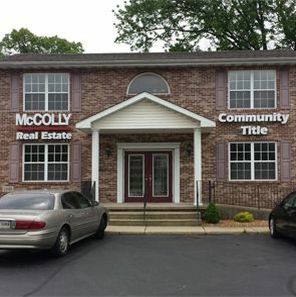 Whether it is Buyer, Seller, Landlord, Tenant representation or Property Management we have successfully demonstrated the ability to form sound and productive business relationships through effective networking, identifying beneficial business opportunities while developing strategic alliances with the businesses and communities we serve. 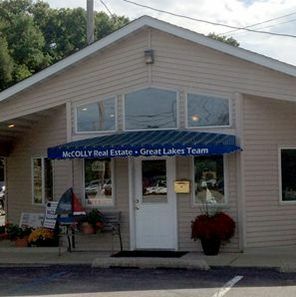 Since 1974, McColly Real Estate has provided superior service by understanding your personal needs whether first time home buyer, resale, commercial, land, new construction or luxury home buyer.We're proud to be a local business, participating in local chambers and events and giving back to our neighbors through the McColly Foundation. 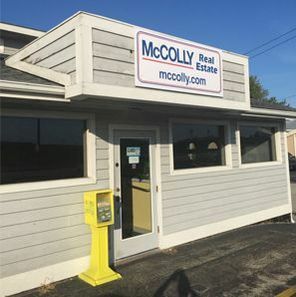 From purchase to financing, to auctions and relocating, we provide full service with you in mind throughout our local communities. 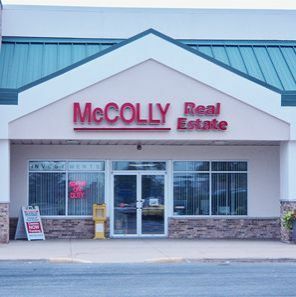 As a proud member of Leading Real Estate Companies of the World®, McColly Real Estate can also find your home nationally and internationally. Valparaiso provides a small-town atmosphere and quaint historic downtown district. This commercial center harmonizes quaint antique shops, boutiques, and restaurants with a courthouse square surrounded by elegant historic homes for a charming cityscape. One of the state's finest public school systems combines with the influence of the nationally acclaimed Valparaiso University to further enrich the community intellectually and culturally. The university also houses a major performing arts center that draws regional audience to exceptional events. Valparaiso provides a wide selection of attractive and affordable housing, and state-of-the-art healthcare facilities. Residents enjoy a finely balanced community just 15 miles south of Lake Michigan recreational opportunities. There are currently 14 parks in Valparaiso. The Town of Winfield was founded in 1993, making it the youngest town in Lake County, Indiana. The county line of Porter and Lake counties runs directly through the center of the Lakes of Four Seasons. A beautiful community made up of rolling farm fields, friendly people and peaceful landscapes. An interchange off of Interstate 65 allows easy travel to Chicago and other outlying cities and towns. The town is serviced by Crown Point post office therefore most places within Winfield have a Crown Point mailing address. Please visit http://www.winfieldgov.com/ for more information on the town of Winfield. Famous as the summer home of the Chicago Bears NFL team. The Chicago Bears Training Camp takes place on the campus of Olivet Nazarene University. Fans have a wonderful opportunity to see the team FREE of charge! Bourbonnais is a growing community with a proud past that dates back to the 1800s. The presence of the private college, Olivet Nazarene University, adds a college-town flavor to the village, crowning the area's historic preservation with its own majestic buildings and lush campus. The university enriches the region culturally as well as intellectually. Bourbonnais maintains over 100 acres of parkland throughout the Village. The parks offer many activities from passive to active, including basketball courts, tennis courts, picnic shelters, bike trails and river access. Established in 1870. The village of Beecher is 37 miles south of Chicago. 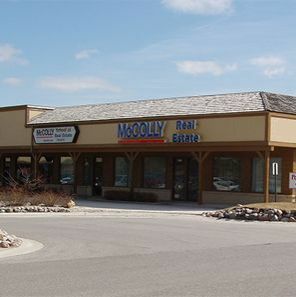 The modest population ensures all the tranquility and slower pace of a rural lifestyle. Historic downtown has successfully shifted from a retail district to a business and professional center. 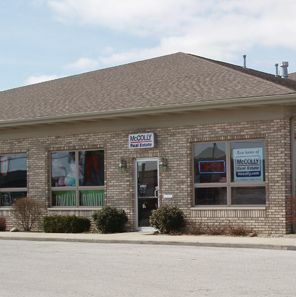 Route 1, the Dixie Highway corridor, has welcomed an influx of new retail activity and a growing collection of light industry. It is located on the old Chicago and Eastern Illinois Railroad and the Dixie Highway. Offering all the charm and friendliness of small town America. Beecher features delightful neighborhoods and a housing selection that includes vintage brick or frame homes, stately mansions, newer ranches, two-story family homes, and modern tri-levels. Other highlights include heavily wooded home sites with horse privileges and a 27-hole public golf course. The soil is well suited for growing crops such as corn, soybeans, wheat, and hay. Originally named Wood's Corner, Crete was founded in 1836 by Vermonters Dyantha and Willard Wood. This village developed its distinctive identity and charm, evolving from patchwork farms, lush woodland, serene lakes, and rural beauty. Because of the appealing atmosphere and bucolic nature, increasing numbers of new residents and businesses have been drawn to the area. In recent decades, the village experienced an impressive growth rate. Beautiful older homes harmonize with magnificent new construction throughout the community. 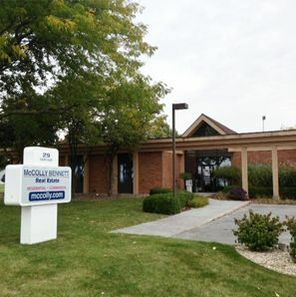 Attractions include harness racing at Balmoral Park, the quaint downtown antique shops, and several popular golf courses that are close to home.The forest preserve along with Plum Creek (Goodenow Grove), a park with ice skating and sledding in the winter, and hiking in the summer. Families can enjoy camping, hiking, cross-country skiing, lake fishing, and horseback riding. Major hospitals and institutions of higher education are only minutes from home. Crete is home to the oldest recycling program in the state of Illinois. Cissna Park is a village in Pigeon Grove Township, in Iroquois County, Illinois. For commuters, there's an Amtrak Station located 15 miles away in Gilman. The following colleges are located within 60 miles of Cissna Park: the University of Ilinois at Urbana, Olivet Nazarene College in Bourbonnais, IL and Purdue University's main campus in Lafayette, IN. 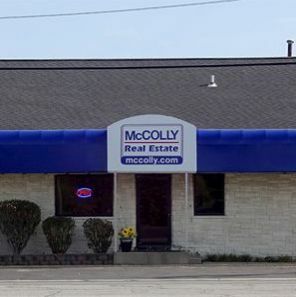 McColly Rosenboom Real Estate, formerly Rosenboom Realty was established, by Roland Rosenboom in 1988 with an office in Clifton, Illinois and now has grown to 5 offices to best serve their clients along the 1-57 corridor. 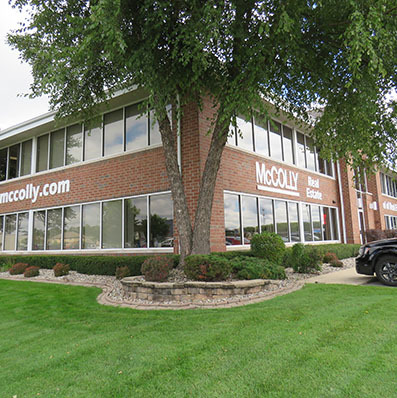 The offices are located in Bourbonnais (50 miles south of Chicago), Clifton, Watseka, Cissna Park and Paxton. 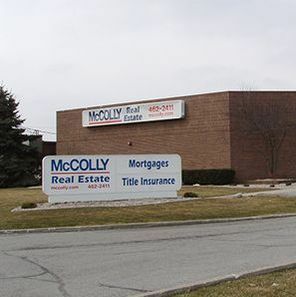 McColly Rosenboom is the largest volume agency in Iroquois, Vermilion, Kankakee and Ford Counties and currently expanding rapidly into Will County. 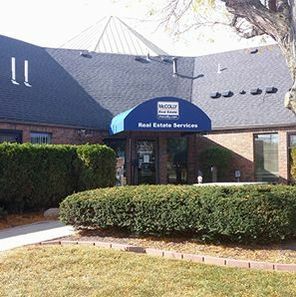 Furthermore, as the premier real estate agency in northeast central Illinois, Rosenboom Realty is the leading agency for closed transactions in Iroquois and Kankakee Counties. 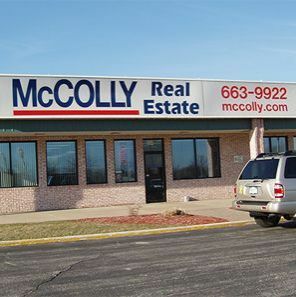 No deal is too big or too small as Rosenboom Realty extensively covers Iroquois, Kankakee, Ford, Will, Vermilion, and Champaign Counties in Illinois. We specialize in all areas of real estate; residential, country homes, lake homes, farmland, commercial, recreational and development land. Clifton is located along Interstate 57 at exit 297. Chicago's airports and attractions are just an hour away, approximately 75 miles north of the village. Amtrak stations are located in nearby Gilman and Kankakee. Springfield, the capitol of Illinois, is approximately 2 hours and 20 minutes, 145 miles southwest of the village. Clifton provides a quality of life only a small town can provide while allowing growth opportunities in new housing and development. Although being considered a small town, Clifton does have the privilege of having a swimming pool, two public parks, a baseball field, and a newly constructed greenway on Main Street. A Board of Trustees governs the village. The board consists of seven members, mayor and six trustees. Featuring a historic downtown district, Iroquois Memorial Hospital and Riverside Medical Center clinic are just a few of the amenities you'll find here. Primary industry is agricultural. The VFW, Knights of Columbus, Lion's Club, Kiwanis Club and American Legion are a few of the active civic organizations you'll find in Watseka. For entertainment, the historic Watseka Theatre hosts many national and international music performances as well as local bands throughout the year. Annual festivals such as Celebrate Watseka, and Harvest Days offer family entertainment fun for everyone. There are four golf courses within an hour's drive. Plus, there are many places to fish and hunt around Watseka. Lakeview Park was built in 2007. It has a ¾ mile walking path around a 5.5 acre stocked fishing area.